I need some advice. In preparation of another Wisconsin winter - one where I do not want to trudge through several feet of snow to to recycle my food waste in the compost pile - I had the brilliant idea to start composting inside through vermicomposting. So I am the proud new owner of a 5-tray Gusanito Worm Composter, only I have no idea what to do with it. I quickly unpacked and set it up in my kitchen. I have talked to the bait shop across the street, they can get me a box of 2,000 red wigglers for $130. Is that a good deal? Do I need that many? 2,000 sounds like an awful lot of worms! Plus, I hear they multiply quickly. 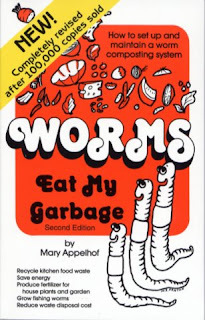 I have read the book Worms Eat My Garbage and poured over dozens of blog entries, but I know no one who personally vermicomposts. My biggest concern is ordering the right number of worms. We are a family of three, sometimes four. When the group is together we go through a gallon-sized ice cream pail of waste every few days. Right now, it is just me going through very little waste other than a bunch of carrot tops. In September the number will increase to two, with not much increase in waste. By the end of October, things should be back to normal with plenty of plant material to harvest from the garden. The kicker is that they do not ship worms to cold regions during the cold months. The bait shop may be different, I need to ask. So whatever my colony is going to be I need to get it now and hope that they do not starve while waiting for the family to come together again. I am sure I could ask friends for some leftover scraps to tide them through. And, I have tons of paper! Can worms eat paper? Like office paper? Would the ink be harmful? Another question is about adding dirt. I read that you should add five or six handfuls of dirt with each new grow tray that you add. Does anyone out there do this? Ever heard of "The Frozen Tundra"? (Football fans will know this.) There is a reason for that. I am not as far North as the Packers, but the ground is still very frozen here in the winter. I guess I am asking if this is necessary? If so, then I need to be storing a bucket of dirt now while I still can to use throughout the winter. I know there must be some experienced Worm Wranglers out there willing to help a newbie out. Worm Lady? Anybody??? Leaving advice in the comments to encourage others would be most appreciated. You may also contact me directly flockmaster [at] greeensheeep [dot] com. For anyone else reading this that may not have any experience to offer, please send my plea out into the world via twitter and facebook. I know you vermi's are out there. Help! I'll be curious to see how this goes. I haven't approached vermiculture yet, but I'd sure like to be able to compost through the winter. I'm getting a second compost bin and placing it closer to the house, but it won't decompose when the Tundra is Frozen. I'd been worm composting for a couple years until I accidentally killed my worms this summer (apparently forgetting to feed them for a month will do that). You definitely don't need 2000 worms. 500 should be plenty. Not to mention $130 for worms is pretty ridiculous. Sorry, no advice for you here. I'm a worm murderer. That's right, I confess. I've massacred two batches of worms and finally threw in the eggshell. Hope you have better luck! I was anxious to do this a few years ago and then chickened out. 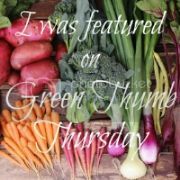 I know that Patti Moreno at the garden girl website does it and she might be able to help a little. She lives in Boston, so I know she can't get dirt in the middle of winter either. I can't wait to see how it goes for you. Ask Gavin, at The Greening Of Gavin. He keeps worms, and seems to be doing so successfully - although he is based in Melbourne, so the climate is quite different. But the number of worms etc. would be the same. He's lovely (as well as being a great blogger! ), and I'm sure he would help with any questions you have. I read this blog while I was vermicomposting: http://www.redwormcomposting.com/ It has lots of tips for getting started and he'll answer any questions you send in. $130 is a lot of money to pay for worms. Do make sure to feed them plenty, you can stock up on scraps for a while before they arrive and then you should be okay. I had the same problem as De in D.C.- I hardly had food scraps last summer and so the worms died. But it's fine to start small and add more because your worm population will increase based on the amount of food available. No need to add dirt, shredded newspaper and cardboard plus food works great. You should be careful with paper about the kinds of ink you put in since some are toxic. I think that answers all your questions. Good luck! I'm just about to start a worm bin too! We can swap success/failure stories (or just see which one of us kills all of our worms first)! $130 for worms sounds like way too much. There's a lady here in Raleigh that sells worms for $22/lb, and a pound should be all you need to get started. Her business is called Red Hen Enterprises - not sure how far they ship. I've been told, though, that she's way overcharging and I should be able to get them much cheaper at a bait shop. We're about to set up our worm bin too (to avoid snowy Maine trips to the compost pile). My daughters and I have been doing research at www.commonweeder.com. She has been into vermiculture for a while, and I like reading about her experience. Also, I'd check into Gardens Alive catalog for red worms. I can't pull the number off the top of my head, but I know I'd remember anything approaching three-figures. Pretty sure it was a lot less! I have the same composter. I bought a pound of worms (no idea how many worms that actually equated to...100 or 200?). This is my second year and I'm still not having any luck. It seems they don't eat my scraps fast enough so they just rot in there. Maybe I don't have enough worms? I, too, would like to know what I'm doing wrong, but some ants invaded and I'm not sure if the worms will make it. Good luck to you. I'll keep looking back to your blog for tips. [raising hand] I have worm bins! In fact, I have three: two indoors, and one outdoors. You and your herd of worms might need to work your way up to handling the full amount of your family's scraps - there's a tradeoff: you can either spend a gazillion dollars in worms, or you can buy fewer, but then "pay" in terms of the additional time needed to build up the population. No dirt needed - the nice, rich, black stuff you will start to see in your bin is the worm, em, poop which is your "finished product". About paper, yes, that passes through the worms, too. Newspaper works very nicely - you can put in office paper, but the newspaper really works better. Things like toilet paper rolls and bits of corrugated cardboard work nicely also. I have a "worm condo" myself, though a different model. One of the problems it has is that the darned thing tends to dry out. One bit of prevention is to make no effort at all to dry out the food scraps before you make your deposit. Bring on the wet melon rinds, coffee grounds, and spent tea! We recently started, too, and found out that our 2,000 worms were not ready for the gallon a day scraps that we create. We've had several oopsies and you know something's wrong when they're trying to escape. Fortunately our bin is outside. I agree with a prior poster - more worms or less garbage. My understanding is that the "tray" systems do only support a total of 2,000 worms, which should, when fully functioning consume about 1 lb per day. - BUT NOT RIGHT AWAY. Do remember to empty the tea often, perhaps even leaving a jar to collect the tea. We have a flat system, not a condo. But I am still struggling with a 6 square foot surface with 2,000 worm and 2 lbs of scraps per week. The worms are supposed to double about every 60-90 days so 500 would essentially be 2000 by next summer. The good news is they won't over populate. They'll only propagate to the extent of their surroundings and food sources. (as I have read). GOOD LUCK fellow Worm Wrangler. We used redwormcomposting.com for all our vermi needs. Bently is incredibly helpful with just about every problem you can run into. And like other people have stated...go with more worms. They will reproduce quickly, but we found they could almost never keep up with our veggie scraps. Of course...my children are fruit bats so maybe it was just us. Ooooh I can't wait to hear how it goes. You know we're in the same boat here in the mountains of CO. And with our HOA asking us not to feed the bears with our compost, we've been looking into vermicomposting as well. Hubby just got a "build your own" type vermi kit. I think I'll wait a few weeks so that I can learn from all of your success (and hopefully no failures!). BTW - Have you tried www.compostguy.com? I love him and I'm pretty sure he started a new blog for vermicomposting too. I like the look of the worm wrangler but don't want to pay the price so I've been looking at one of my favorite sites, http://www.instructables.com for ideas for making one myself. Here is one idea: http://www.instructables.com/id/5-dollar-12-hour-Worm-Composting-Bins/ and if ur reeeeally into worm farming check this idea out: http://hypernatural.com/digestive.html (the instructions are also at instructibles).